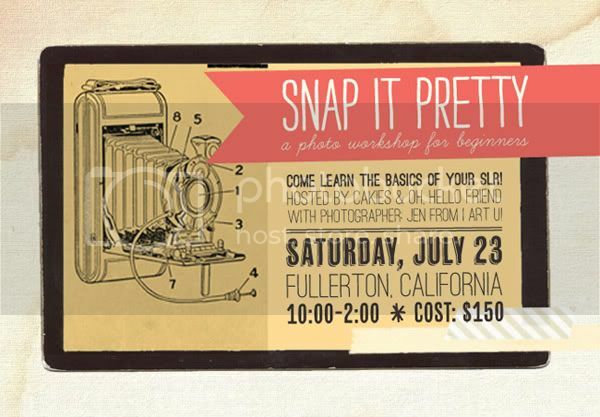 Snap It Pretty: Learning the basics of your DSLR so you can snap away at all the pretty things in life. Who it is for: A DSLR owner who wants to learn the basics of how to use their camera in manual mode. If you basically use your DSLR as a point and shoot, then this class is for you! We'll go over things like the shutter speed, ISO, focus, depth of field, and more! Who it isn't for: Those who already know how to use their camera in manual because if you do, this class will bore you. Maybe we will have something for you next time! What will be provided: lunch, goodie bags, and the basic knowledge of how to use your DSLR from a professional photographer. What will you be doing? 1) Learning the basics of how to use your DSLR in manual mode. 2) In a group, styling vintage props to practice your snapping away for pretty pictures. 3) Meeting and mingling with fellow bloggers, and really - you can't put a price on meeting like-minded blog friends ;) It's the best! Questions? Email us at welikeitpretty@gmail.com! If you are interested in attending, please sign up here and we will email you with payment information. Class space is limited to just 15 people. 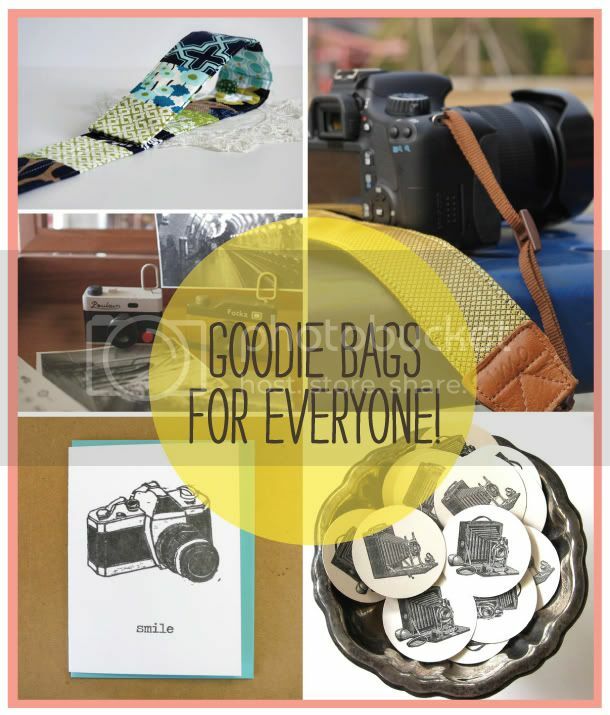 We've been working hard to collect some lovely goods from all around - Some of our sponsors include knitty bitties, imo shop, cute tape, friends make prints, petite paperie, and lots more! Attendees also have a chance to enter our mega giveaway for a chance to win a prize from jo totes & ketti handbags, valued at over $95! * ps: we know the workshop is only a couple weeks away so if only a few people sign up, we may schedule the workshop for a later date. I'm so jealous I live so far away. I would love to go to something like this! thank goodness you are local! Count me in. this sounds like just the thing I need. If I can scrape together $150, I'm in. Okay i sorta feel like this is fate! I am from LA but live in Arizona but I will be home this weekend and this is just the sorta class i need! Asking husband now.... is there a limite number of spots?? This sounds like such a fun class! I have yet to invest in a DSLR, but I absolutely appreciate photography, and can't wait to learn more. I'll have to share this with my tech savvy friends! If only I didn't live on the other side of the country, I would so be there. how bout san francisco next?! pretty please!! If I was anywhere near you I would love to do this. I'm actually looking for the same thing where I live. I'm sure you'll have a ball and learn lots. This would be so perfect for me! Manual mode is best and I am still having troubles getting the hang of it. I so wish I lived near you. I wish I lived closer! :( Great idea though - have fun! So sad that I'm so far away because I want to attend. awww wish i lived closer!! i'd LOVE to attend this class!! !